APPLY TODAY: The new Virgin Atlantic credit cards are here! What are the benefits? 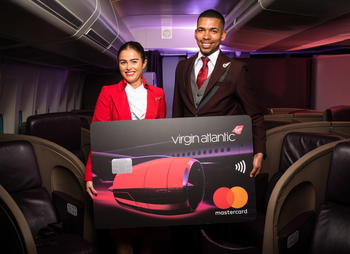 Virgin Atlantic has launched its two new Mastercard credit cards today! 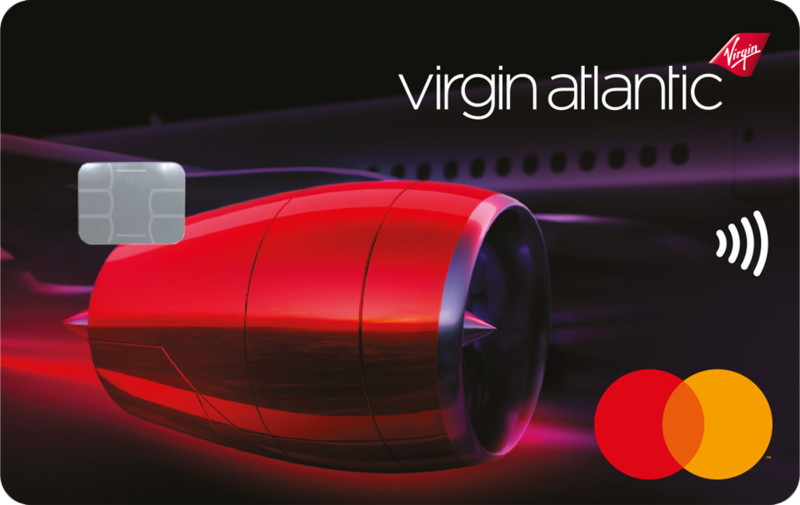 You can see full details of the new Virgin Atlantic credit cards, and apply, by clicking here (free card) and here (paid card). The main marketing website is here. Basically, having the MBNA Virgin Atlantic cards makes no difference to how you will be treated when you apply for the new Virgin Money Virgin Atlantic credit cards. This is a two-part article. This part is basically ‘the facts’. The second part, also published today, is a ‘compare and contrast’ piece. The earning rates are EXCELLENT. 0.75 miles per £1 on the free card and 1.5 miles per £1 on the fee card. 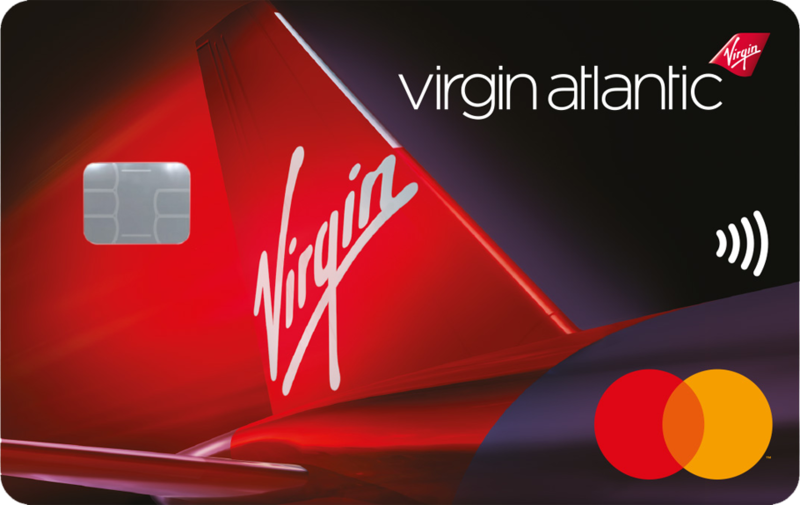 The new Virgin credit cards have a 2-4-1 voucher which works like the BA Amex voucher. But … and this is a big ‘but’ … you need to be Flying Club Gold to use it in Upper Class. You need to be Flying Club Silver to use it in Premium (Virgin’s new name for Premium Economy). A base level ‘Red’ member can only use it in Economy. Solo travellers can choose, instead, to upgrade a return Economy redemption flight to Premium Economy. This is available to everyone regardless of status. As the upgrade voucher is valid for two years, a couple could also benefit if they earned two vouchers in consecutive years or each had their own credit card. Let’s look at the two cards in detail. I am legally obliged to tell you that the representative APR is 22.9% variable. As you can see from the picture above, the free Virgin Atlantic Reward credit card is pretty cool, as credit cards go. There is NO information on the front! No card number, no personal name. What you see above is what you get. The card is also coloured red on the edge which makes it stand out when you look into your wallet or card holder. You can apply for the FREE Virgin Atlantic Reward credit card here. This card has a representative APR of 63.9% based on a notional £1200 credit limit and the annual fee. The representative APR on purchases is 22.9%. This card is even cooler to look at, in my view, than the free card. Again, your name and your card number are printed on the back, giving an impressive looking piece of plastic. The card is also coloured red on the edges. You can apply for the Virgin Atlantic Reward+ credit card here. Your reward is triggered IMMEDIATELY upon hitting the spending target. The target is £20,000 in a card year for the free Virgin Atlantic Reward Credit card and £10,000 in a card year for the £160 Virgin Atlantic Reward+ credit card. You do NOT need to wait until the end of your membership year before you receive your reward. Taxes and charges are due on ‘free’ 241 seats in the same way as the British Airways American Express 241 vouchers. Vouchers are valid for two years and you must fly the outbound leg of your trip before the expiry date. What I have written above are the ‘hard facts’ about the new Virgin Atlantic credit cards. In Part 2 – click here – I will give my personal view of the pros and cons of the cards. EDIT: After I published this article, I wrote a separate Q&A piece to answer some questions raised by readers. You can find that here. You can learn more about both cards, and apply, on the Virgin Money website here. Well… With a perfect credit score, with an Amex Platinum and the current MBNA cards in my wallet, my application was declined. A shame. I’m already moving my travel to BA as VS after sales is a shambles, but would have liked to have had the option as I really enjoy the Clubhouse and VS flight experience. I’m BA Gold and have not had a bad experience. Lounges are no clubhouse but hey, not worth the stress I get with every interaction with VS. Pre flight is poor on VS too. I’ve had really decent sales with both BA & Avios. Must have gotten lucky. > Your card entitles you to free global Wi-Fi access. You will need to register here to create an account directly with Boingo. Boingo provides you access to over one million hotspots worldwide as well as inflight access (selected aircraft and airlines only). The Amex Platinum Boingo plan doesn’t currently include WiFi in-flight – is that last sentence marketing speak about Boingo (assuming so) or does it indicate in-flight wifi as part of the plan? If anyone who’s registered for the Reward+ could find out, I’d be v interested to know given Virgin do have in-flight wifi. Virgin inflight Wifi is provided by Gogo. It is different from Boingo. I don’t think you can use it on VS.
Well for the first time ever, I’ve been refused for the fee paying VS credit card. Not even the usual MBNA ‘let us get back to you’ response. Phoned them and they said that it must be something on my credit score. So checked that. It’s perfect. Phoned back and they want me to send in my tax return, bank account details and credit score report. How odd! I am sure its their system that is getting overwhelmed with multiple applications. I never apply for new cards on day one. always let the dust settle first. + you will usually get a higher bonus in a few months once they have consolidated things (of course, not guaranteed). What happens if you have balances through balance transfer offers on the MBNA card and they shut the card down? Does this get transferred to another MBNA product? Has there been a stealth devaluation/price hike on BA Avios redemptions? Both online and telephone booking, since last night – trying to book London to Hong Kong return, WT-WT or WT-F. But pricing chart for HK zone 7 shows 19.5k one way which would be 39k return? I called the booking line: Same number quoted 49.5k. I checked outbound Econ and return First, expecting 121.5k return, her computer quoted 132k… The telephone rep was just as confused as myself, she was not notified of a redemption change, neither was her manager… But the numbers don’t match up either? Is one of your flights Peak? Both are off-peak (November! )… On a further look, it seems that one of the econ legs has been charged at peak despite being in November – perhaps another I.T. issue? Unfortunately the reps in the office have to ‘go whats on the computer’ – so I’ll hope that the F availability is still there tomorrow if/when it gets fixed! Is one of the legs actually giving you a partner airline? No, both BA… Unless it’s a strange codeshare, which I am sure it is not after checking. Will be calling back again today. the 10.5k avios differential is too much of a coincidence not to be a peak/non-peak mixup on their part! I’ll call back today to see if the issue’s been fixed. I noticed that some people commented they were declined too, does anyone have any idea why? I don’t think my credit limit is too high/low vs income … I normally pay off any balance within week or two, so it doesn’t impact my credit score. What does your overall credit utilisation (balances vs available credit) look like? There’s a good analogy on MSE of applying for credit being like a beauty parade: they like different things. I certainly won’t be rushing to get the new card. If anything it’s made the decision much easier to switch to BA. Just like to say, I have a perfect 993 credit score and the computer said NO ! Given there seems to be quite a few rejections, are there any common denominators? Obviously credit institutions can decide who they want as customers and a good Experian credit score doesn’t tell the full story. Recent credit applications? Too much overall credit? Too much / too little existing credit utilisation? Anyone care to share their situation a little? You don’t make interest income on frequent flyer cards, the customer base is too wealthy. But, I agree, this could be the reason. I have spoken to VA about this today and they are monitoring it. I have been invited to submit details of rejected readers who are fully solvent and have already had one decision overturned. @Rob I thought you have mentioned before about Amex mentioning quite a significant number of people running balances on BAPP (at least over short term)? The only specifics I have ever had on this were that ‘not many people run a balance, but those that do – often accidentally by missing a payment – do it on large balances’. Common sense says that it will be far lower than normal, although at 22.9% APR …. Is this a new Barclaycard reward card? Any idea if the annual fee is refunded if cancelled during the year? If so is it pro-rata? Rob, veering a little OT but do you think there might be any mileage in your trying to establish a dialogue with AF/KLM and credit card providers with a view to their launching a FB credit card? I know the economics are against anything of much value but I think the forthcoming changes to FB along with the VA tie-up look very promising as an alternative to BA/OW, especially for those of us in the regions. With BA also moving closer to a more revenue-based scheme then Fb just becomes even more attractive. The major dowbside is the lack of opportunities to earn FB miles in the UK excepting MR and SP/Marriott so a credit card could be useful. But… since the plan is we’ll be able to spend Flying Club miles with AF/KLM, what would be the advantage? We don’t yet know what earn and burn rates ard, or am I missing something, is Virgin joining FB? AF / KLM is buying 20% of Virgin Atlantic and becoming a Flying Club partner, so you can earn and redeem FC miles with them. And vice versa, if you have Flying Blue miles. I have the V black card and have reached the spend to get the PE upgrade vouchers but my anniversary is Sept. If the card goes are they still going to honour the vouchers? I’d assume that if they didn’t they’d have to offer some kind of compensation in much the same vein as when Barclays stopped the IHG card and had to do pro-rata refunds on card fees and also compensation towards the free night rewards people were spending towards. My application has been referred for the paid card, we shall wait and see! I hope BA do not go down the route of restricting 2-4-1 redemption in this way. I’ve been holding off triggering on the BAPP but with this and the mysterious first availability issues over the last week I’m starting to get a bit fidgety! OT apologies if I missed this elsewhere: 500 avios or 1500 IHG points for an IHG stay, limit of 1000 registrations but was ok a few minutes ago. Still okay @ 8:50pm. Cheers. Cancelled the Sunday Times subscription at month 11 but kept receiving the issues afterwards! Received an interesting email today saying o owe them a further £30.00 for another years subscription and a £15.00 catch up payment for the last six months. I have refused to pay £45.00 unless they chuck some Avios my way… any body else in the same boat? This is for the travel magazine that came with 4,500 Avios by the way! Would you have to pay anything if you can show that you cancelled? Isn’t this their mistake? Did you contact them to cancel the sub or did you just cancel the DD? OT @Ghengis: are you still getting nectar offers on Virgin? I’ve had none for over two months. Thanks, good you had one though. I was wondering if they had pulled them given the franchise issue. I did contact them, dug out the mobile bill which shows me phoning them and spending a while on the phone too. I’ll give them another buzz tomorrow. I recall seeing a comment on here about someone still recieving issues after it was cancelled. Got the same email, I called th to cancel a good while back. I will be calling tomorrow and telling them they are not having any money. I cancelled my DD but didn’t contact them – still receiving the monthly magazines – no email from them yet. I cancelled my direct debit and didn’t tell them. They then created a new direct debit without my permission and took another £30. I’m in the same boat. I replied by email saying I have cancelled the subscription already – the DD was cancelled months ago. Remember we can all have “administrative problems”.